Unity of Europe: Germany's Challenge? 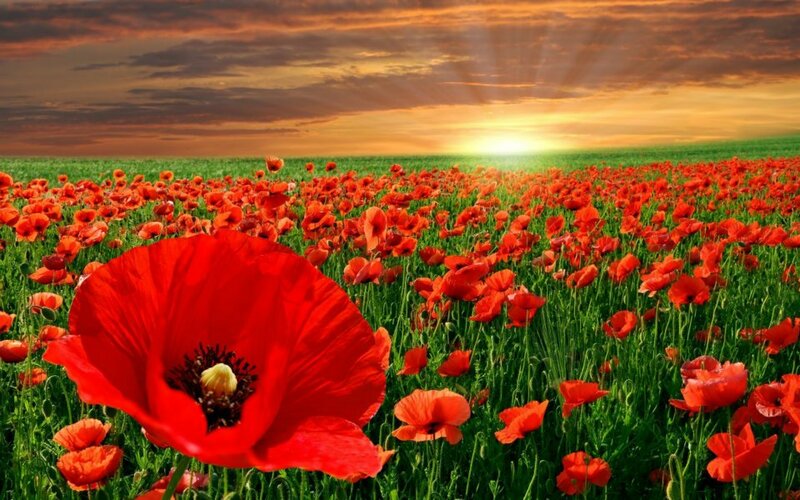 On the 11th hour of the 11th day of the 11th month of the 11th year of this century, we remember those who died in the two great wars so that we could all live freely. Just contemplate the super-symmetry and synchronicity of 11/11/11 at 11 o'clock. A hundred years will pass before that synchronicity will repeat. Will the legacy of those world wars still haunt us then? Is Europe sleep walking into a financial and economic world war in which the buildings remain standing but the financial and economic engines collapse? Is Germany again at the centre-of-control and the decision making tree? If so, which option will Germany choose as its siblings like Italy and France begin to get decimated in the sovereign debt markets with massive damage to financial institutions, businesses, jobs, national and regional economies? In silence, on the 93rd anniversary of the end of the first world war on Armistice Day, we remember the 16+ million who died in WWI, the 50+ million who died in WWII, the many tens of millions who have died in subsequent wars, and countless sentient beings who are still dying in many unnecessary wars. Whilst there can be no words to describe the horror of war for those who have lost their loved ones and for those whose family members have been injured or maimed, there are some leading writers and poets who have, throughout history, attempted to capture the crushing gravity of that brutal and morbid black hole which humanity nonchalantly calls war. This is our existential crisis. For those of us in the allied nations, we have to recognise that not only did our citizens suffer but also the citizens of the vanquished countries suffered equally or even more. In the post-war era, the effect of that joint suffering has been a palpable metamorphosis in collective consciousness. As Chief Seattle said, "Humankind has not woven the web of life. We are but one thread within it. Whatever we do to the web, we do to ourselves. All things are bound together. All things connect!" Towards the end of this briefing, we would like to present, Wilfred Owen's "Dulce et Decorum Est", the best known poem of the First World War, which rather accurately describes the horror of war, and the pity of war. We invite you to meditate for inner peace, tranquillity and global unity -- amongst all sentient beings -- on this day and every day. Regardless of our outer differences, in our within, and via our myriad inter-linkages with each other, we are in essence all one! 93 years ago the guns of World War I fell silent after more than four years of the most murderous conflict the world had ever known. Worse was yet to come. If there hadn’t been a first world war, there probably wouldn’t have been a second, precisely two decades later. The treaty of Versailles did not help matters at all. The demise of four out of the five sovereign empires of the time -- Prussian, Austro-Hungarian, Russian and Ottoman -- paved the way for even more degenerate despots to seize power undemocratically, who initiated yet another heart-breaking cycle of tragedy. The two conflicts are irrevocably linked and eventually history will treat them as just one. The US emerged from this conflict as the pre-eminent “superpower,” ending Europe’s global dominance, which had begun with the defeat of the Turks at Lepanto in 1571. The remaining empires – British, French, Dutch, Portuguese and Spanish – hastened their long retreat, letting go of previously colonised people in billions to pursue their own destinies. Europe saw the era that dawned after the Second World War as the beginning of a chastened continent’s efforts to recover, to fight its way back to prominence, not through conflict, but through co-operation. Jean Monnet gave birth to the European Community, which later became the European Union, and is a product of the continent’s dedication to the principle that there shall be no more wars on European soil. Economic co-operation eventually led to political co-operation and even to a common currency – the Euro – for 17 EU nations, married in monetary but not fiscal union. The 27 countries that are currently members of the EU share the world’s largest economy, more than $14 trillion GDP. How responsible has Europe's response been so far? The polite answer is: not as good as it should be! The economic crisis that essentially began in August 2007, has hit European countries very hard, but perhaps harder than it should have. Instead of taking strong and concerted action to meet the smaller problems – Greece, Portugal and Ireland – when EU leaders became aware of them, Europe continued to prevaricate summit after summit. The failure to deal with the small fires has now led only to bigger fires such as Italy this week and then potentially France next. Europe faces a time of testing not unlike those its countries faced at the end of the two great wars, a truly existential crisis. It is fashionable and convenient to suggest that northern European economies have not been the beneficiaries of the so called largesse that the southern European economies indulged in as a result of joining the euro and enjoying ultra-low interest rates and the free availability of credit. There is more to this simple equation than meets the eye. The financial institutions of the northern economies have benefited hugely from the high yield interest income that they have hitherto derived from the peripheral European countries. Many world class corporations taught Germany the lesson that often it is important to offer financial sweeteners and deals in order to sell product. The Eurozone has been extremely beneficial to its industrial power houses -- particularly Deutschland -- which have enjoyed robust growth on the back of selling their product around the world at a competitively priced euro. How to Avoid the Spreading Contagion? Whilst prevarication might have been an understandable response in most cases, in the present European context, it has made the crisis much worse. The financial contagion has spread from very small economies to the larger ones including Italy, the centre of renaissance Europe. This viral infection which is threatening to become a financial pandemic has been exacerbated by a particularly nasty habit, common to most politicians in general, of blaming the messenger for the message. Hence rating agencies were excoriated for doing their job – even as they were being similarly blamed for not doing it – when they started downgrading the ratings of sovereign and bank debt. Short sellers have also been given pariah status in Europe for making money on falling equity prices, which is what they need to do to hedge their positions. How Europe’s kaleidoscope of incumbent and increasingly powerless leaders will deal with this unparalleled emergency remains uncertain. However, it is certain that their actions will have global consequences. It is unthinkable that anyone will go to war over the euro in a conventional sense of the word, but they may do so financially and economically, with the same destructive effects. It may yet involve mass mobilisations of large capital outflows and mass destruction of financial institutions unless Germany and its allies are willing to allow the European Central Bank to print a few trillion euros to save the day. In the short, medium and long term, Germany will benefit if the Eurozone can carry on buying its product. If the Eurozone breaks up, German exports would also fall off a cliff. Industrial production could decline in double digits. In parallel, when the Romance countries think of Germany, they think of all the oppression that they were subjected to in the not too distant past including the occupation of their homelands and their capital cities. Germany has an opportunity to display its magnanimity towards its own siblings at this critical juncture. Does It Make Sense to Hang Nations Out to Dry? When hurricane Katarina devastated Louisiana, did the richer US states walk away from their responsibility to look after that poorer state that had been hit by such a vast calamity? In fact, this moment in time, is the litmus test for Europe to prove that the Eurozone is not merely a self-serving construct for the richer Northern European nations led by Germany to sell their products and financial services. Let us not forget that American taxpayers, unlike the Germans, were not making life difficult for the US President as he announced the Marshall plan to revive Europe, including Germany, in 1948. 2. A fresh financial crisis would be triggered as Europe's financial institutions -- including banks -- haemorrhage hundreds of billions in losses as Greece, Italy and other nations leave the euro, devalue their currencies and force investors to write down bad debts. 4. Implementation at a European level of various national policies to promote the growth of small and medium size businesses that create new jobs fast. After World War II, the Deutsche Mark restored faith in Germany as it was rebuilding from the destruction of the war. Price stability was a core focus for Germany's central bank, the Bundesbank, and its legacy has weighed on the first decade of its successor, the European Central Bank, which has struggled to balance the dual roles of maintaining price stability and economic growth. As the possibility of a very severe recession becomes a reality with every passing day, the printing of new money by the ECB is necessary not only to safeguard peripheral European economies but also the industrial production within Germany. It’s a decisive lever to encourage major countries in Europe, notably France and Italy, to be more courageous in dealing with their excessive debt and insufficient tax base. Many of us have enjoyed our time in Southern Europe and some of the designs, technologies and institutions that we rely upon to conduct our daily affairs -- including banking -- originated in the Romance countries. Pressure is now on to roll the printing presses at the ECB as the central banks of the US, Japan, UK and Switzerland have done in recent years via so called "Quantitative Easing". The ECB could improve on the QE carried out by those central banks by launching a simultaneous call for structural reform that would have to be implemented as a pre-condition for the newly created money to be injected into the nations most in need. No other palatable solution remains viable at this late stage. Of tired, outstripped Five-Nines that dropped behind. Dulce et decorum est pro patria mori is a line from the Roman lyrical poet Horace's Odes (iii 2.13). The line can be rendered in English as: "It is sweet and honourable to die for one's country." In classical Latin it was pronounced, "dulcet decorumst pro patria mori," due to poetic elision and prodelision. Wilfred Edward Salter Owen, MC (March 18, 1893 – November 4, 1918) was an English poet and soldier, regarded by some as the leading poet of the First World War. His shocking, realistic war poetry on the horrors of trench and gas warfare was heavily influenced by his friend Siegfried Sassoon and sat in stark contrast to both the public perception of war at the time, and to the patriotic verse written earlier by war poets such as Rupert Brooke. Some of his best-known works -- most of which remained unpublished until after his death -- include Dulce Et Decorum Est, Anthem for Doomed Youth, Futility, and Strange Meeting. His preface intended for a book of poems to be published in 1919 contains numerous well-known phrases, especially 'War, and the pity of War', and 'the Poetry is in the pity'. He is just as well-known for having been killed in action at the Sambre-Oise Canal just a week before the war ended, causing news of his death to reach his home as the town's church bells declared peace. What are your thoughts, observations and views? We are hosting an Expert roundtable on this issue at ATCA 24/7 on Yammer. Q1: How to become a privileged member of ATCA 24/7 to participate in the expert roundtables? A1: i. If you are a distinguished member of ATCA 5000, ATCA Open, The Philanthropia or HQR affiliated groups you may be allowed to become a privileged member of this new and exclusive private club. iii. If you don't have membership of the PIN yet, email the mi2g Intelligence Unit at intelligence.unit at mi2g dot com for an exclusive invitation. Q2: How to participate in the expert roundtables and get domain-specific strategic intelligence questions answered? Q3: Why is the ATCA 24/7 Q&A Exclusive Club special? A3: ATCA 24/7 has now created an exclusive private intelligence watering hole and expert roundtable at the highest level where interesting and sophisticated questions are being asked from around the world, and intelligent answers are being provided, almost always by experts who have deep domain-specific knowledge. Come and check out the exclusive club, take it for a strategic test drive, which sign-of-intelligent life are you waiting for? ATCA: The Asymmetric Threats Contingency Alliance is a philanthropic expert initiative founded in 2001 to resolve complex global challenges through collective Socratic dialogue and joint executive action to build a wisdom based global economy. Adhering to the doctrine of non-violence, ATCA addresses asymmetric threats and social opportunities arising from climate chaos and the environment; radical poverty and microfinance; geo-politics and energy; organised crime & extremism; advanced technologies -- bio, info, nano, robo & AI; demographic skews and resource shortages; pandemics; financial systems and systemic risk; as well as transhumanism and ethics. Present membership of ATCA is by invitation only and has over 5,000 distinguished members from over 120 countries: including 1,000 Parliamentarians; 1,500 Chairmen and CEOs of corporations; 1,000 Heads of NGOs; 750 Directors at Academic Centres of Excellence; 500 Inventors and Original thinkers; as well as 250 Editors-in-Chief of major media. The Philanthropia, founded in 2005, brings together over 1,000 leading individual and private philanthropists, family offices, foundations, private banks, non-governmental organisations and specialist advisors to address complex global challenges such as countering climate chaos, reducing radical poverty and developing global leadership for the younger generation through the appliance of science and technology, leveraging acumen and finance, as well as encouraging collaboration with a strong commitment to ethics. Philanthropia emphasises multi-faith spiritual values: introspection, healthy living and ecology. Philanthropia Targets: Countering climate chaos and carbon neutrality; Eliminating radical poverty -- through micro-credit schemes, empowerment of women and more responsible capitalism; Leadership for the Younger Generation; and Corporate and social responsibility. Renowned worldwide for the ATCA Briefings. Subscribe now.